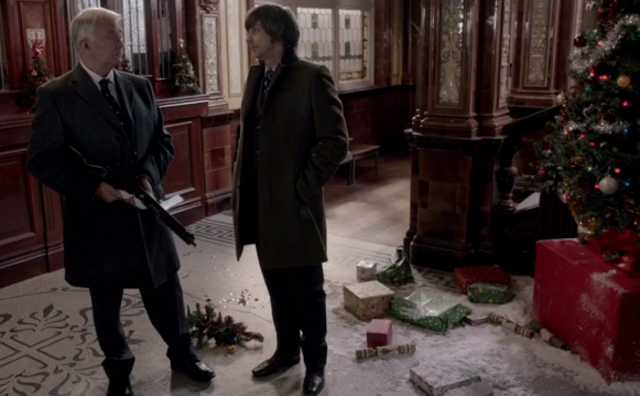 Perhaps the greatest irony of Inspector George Gently is that its tragedy always stems from its basic conservatism. To quote C.S. Lewis: "A man does not call a line crooked unless he has some idea of a straight line." This show has always remembered what a straight line looked like. I remember that Gently Upside Down, an episode back in series 4, ends with a young woman, Hazel, berating a failed authority figure. He was meant "to take care of us, not use us." She acts like that should be the natural state of the world. George Gently has spanned most of the 1960s and Hazel was hardly the only iconoclast. But these children railing against their fathers are never righteous heroes. They're always broken, and even if they wish to transcend "the system," they still display a tangible hunger for the world before it was fallen. They hate their fathers, but want to impress them. They are not men but stunted children desiring attention. Son of a Gun is all about such children. In an opening recalling the chaos of The Dark Knight, a band of masked robbers burst into a bank (the same one George visited last week), spattering the ceiling with bullets from a WWII Sten gun. Their heist nearly comes off without a hitch, but a boy - later we learn his name is Kit Mcdonald (Patrick McNamee) - trips a robber and the gun clatters the floor. The thieves make a run for it, escaping amid a hail of pursuing gunfire. It appears at first that the volley was without effect, but later, newly promoted Detective Sergeant Rachel Coles discovers the abandoned body of a girl, Lexie. It's clear from her haircut that Lexie hung out with the skinheads: a gang of teenaged troublemakers who could easily be the robbers. Rachel goes undercover to investigate. Simultaneously, George is reconnecting with Kit Mcdonald, the son of a long-dead colleague. He feels guilty that he hasn't been there for the boy. Edith, Kit's mother, tells him: "A boy needs a dad, George. And if he doesn't get one, he finds his own: good ones, bad ones. You were one of the good ones." In the context of this guilt, George lectures Bacchus again about his highly unstable relationship with Gemma. If John wants to have a life with her, he must make it official and become both breadwinner and father to Gemma's children (interestingly, in all these conversations, Bacchus's daughter has never come up). In the end, Bacchus presents Gemma with an ultimatum: either she accept his offer to provide a real home, or go back to Walter. This feels a bit unlikely coming from John, who's never been one to yearn for responsibility, and who has fought so hard to win Gemma over the last three episodes. But both of these subplots are on the backburner. While Gently and Bacchus are around at first to help (to the tune of a Gently-ized Christmas song), Rachel is effectively the main character through the first half of the story. 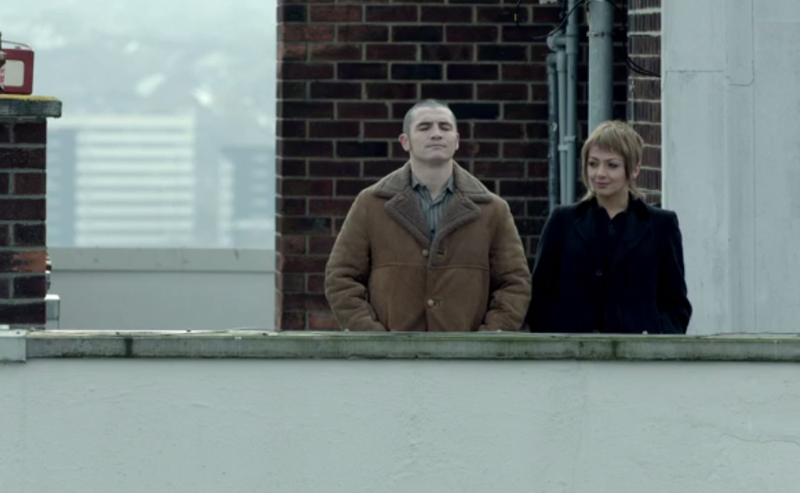 While undercover, she catches the interest of Jonjo Burdon (Jody Latham), a thuggish, melodramatic skinhead. The theatrical Jonjo recalls many other cinematic villains - he has the physicality and anti-traditionalist beliefs of Bane, and the unsettling nihilism of the Joker. Jonjo also brings to mind Ricky Deeming, a gang-leader from the very first episode of Gently. I wonder if the parallel is intentional, because it is fairly uncanny. Jonjo's boys look to him as the new authority, they adore his strength and confidence. Deeming's aimless rebels saw him as a surrogate father - he commanded their unconditional obedience. Both were anxious to make an impression George. Deeming told Gently: "Your world's coming to an end, George. It's inevitable. You won't know England in twenty years." Now, merely seven years later, a group similar to Ricky's rebellious cyclists are slaughtering innocents and overturning the established order. Deeming was right: it's a brave new world, but not the utopia he envisioned, once the youth were free of restriction. As the saying goes, if you try to break the laws of nature (both gravity and morality), the only thing that will end up broken is you. But it's not a hopeless conclusion. Those who live by the sword reap what they sow. And as the 70's dawn, the last scene demonstrates a son promising to live up to his good father. While this episode isn't perfect, it's a definite step up from last week. It maintains the lighter tone, but manages to work up a tangible sense of danger by the end. Notably, episodes three and four were both directed by Tim Whitby, and one and two by Roger Goldby. There are fewer shadows, more upbeat music, brighter colors. There isn't much of a whodunit, but then, we don't come to George Gently looking for Miss Marple. It's at its best when it's a thriller, and this finale was certainly that. Want something good to watch? Check out my full list of good detective shows here. Sending Rachel undercover in this situation defied reason. Jonjo's "type" seems to have been high school girls (or thereabout) looking to get high and let him have his way with them if they were "lucky" enough to be today's chosen one. Any questions at all (or even paying attention to his business activities) would have drawn his suspicion. He would have pushed her to see how far she would go to keep her cover, then try to humiliate her with that, especially with her copper friends. I can't see Gently suggesting it to begin with, as she and Bacchus are his "kids" at this point. Yeah, that whole subplot didn't entirely make sense. Of course, sending the fairly competent Rachel into that situation made a lot more sense than putting Sam Stewart undercover. But yeah, he didn't seem the type to welcome defiance. He wanted drones. Now it would have made sense if he had been playing with her from the very beginning, feeding her false information. I initially thought this was what was going to happen, but after Rachel got the postcard, none of that was followed up on. And yeah, a little difficult seeing Gently sending Rachel. Even Bacchus's "typical sexist" complaints seemed halfhearted. As for Rachel, is it just me or has she changed as a character since leaving uniform? Before she was a bit of a Hermione Granger - always following the rules, an overachiever. Not so much now. It worked better before. But in Sam Stewart's case, the evil old man had already placed an ad for a reader in the paper, and Sam can read. She also had a watcher and a pre-arranged danger signal and Foyle was against her putting herself in danger. Rachel was dealing with a sociopath, with no backup in a nihilistic group. Just staying would require her to adopt that behavior, and even Bacchus wouldn't be comfortable with that. Rachel has been on the road of being corrupted since Gently talked her back on the force. When she saw justice in Bacchus and the boys "tuning up" that loanshark for taking sexual advantage of that debtor, the letter of the law was being pushed to the background. If she says nothing when she reads the reports and finds out the guns came from that school Kit was attending, she will have taken a few more steps. I was thinking of the time Sam worked at the gas station. But yes, even that would be less dangerous. I just skipped back to watch episode 2 with my parents, and was struck by how much better it was. It's little things, mostly - the direction is far better, as is the music and atmosphere - and the characters just seem to fit. Rachel is part of the story but doesn't interrupt the Morse-and-Lewis vibe at the center. Maybe if we get another season, Peter Flannery will get us back to normal. Ah, yes, Sam trying to find the fuel thieves after the girl is found dead. I'd forgotten about that. I will not, however, ever forget when she lost the covers--and her kit--working for that artist chap modeling, in addition to her secretarial duties. Foyle's quickness with the sheet, prevented embarrassment all around and inspired John Ashcroft in later years. Btw, I'm getting the sense that Martin Shaw would do more Gently series, despite that one interview. It seems the biggest problem is the tight shooting schedule that force him to choose between eating dinner or learning his lines for the next day's shooting in the evening--or so he says. You think the BBC would have learned their lesson with Top Gear. I agree. That ending definitely felt like it was setting up more stories. Maybe we'll get some occasional specials, like the later Morse episodes. He has said that he wants to "go" in the middle of a scene, so it's totally up to the BBC. 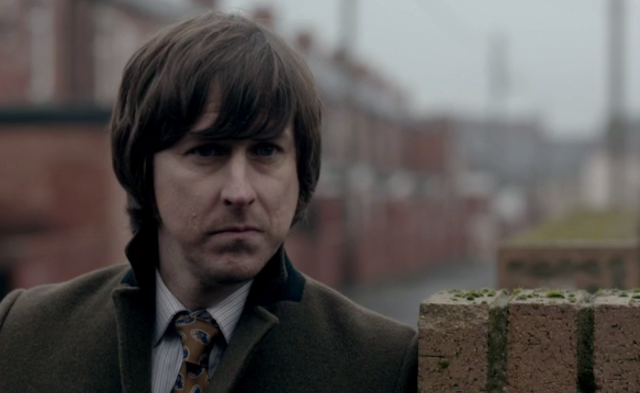 Now that he has established himself as George Gently, I don't see a switch this late in the game. I wish I understood what Gently feels he has to do with Kit at the end of this episode, before they turn him in. Been a while, but I think they let the boy go, right? Gently feels guilty because he should have been a father figure for Kit, but wasn't.